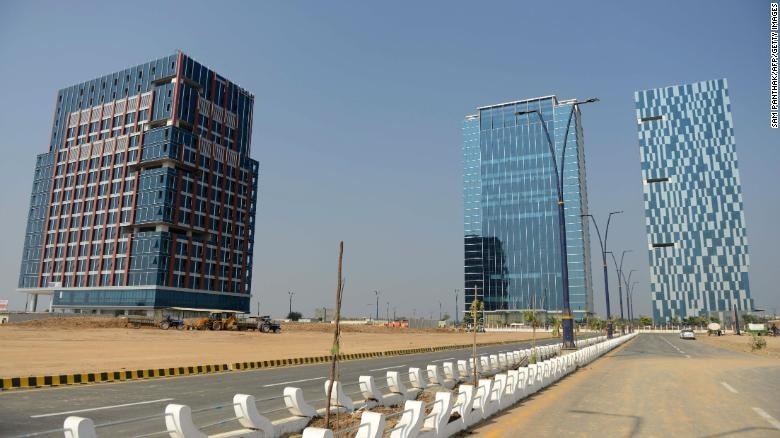 AKIPRESS.COM - India is building a new city to give global investors an easy way into its booming economy, CNN reports. Gradually mushrooming on an otherwise barren 886-acre parcel of land in Gujarat -- Prime Minister Narendra Modi's home state is a small collection of buildings that India hopes will one day rival financial centers like Singapore, Dubai and Hong Kong. It's called Gujarat International Finance-Tec City, or GIFT City. Two stock exchanges were established in the city last year, and government exemptions recently made trading virtually tax-free. The city will also have its own financial regulator, part of an effort to reduce red tape and bureaucracy faced by foreign investors. Investors are taking notice when trading started 15 months ago, the exchange hosted daily trading worth around $1 million. On Monday, that number crossed $500 million for the first time. The city currently consists of just a handful of structures, three large office buildings to which workers are bussed from surrounding areas, a school and a data center. Its first residences will be ready by May, and a four-tower World Trade Center complex is expected to be completed in the next two years.